Every year I buy a used paperback of John le Carré’s The Honourable Schoolboy (1977) and take it to Hong Kong with me, to be left for someone else when I pack up to leave. One year I left a copy, then returned the following year to the same hotel. The desk clerk remembered my name and ran to the back room, where last year’s copy had been carefully retained. During my first trip in spring of 1995, I found The Honourable Schoolboy remaindered in a Silvercord bookshop that has long since vanished. Reading the novel while I encountered HK for the first time was an exhilarating experience because, of course, the story is set there. Le Carré aficionados know that it’s the second in the Quest for Karla trilogy launched by Tinker, Tailor, Soldier, Spy and completed by Smiley’s People. In this middle installment, we see how the mole who infiltrated the highest reaches of British intelligence wrecked the spy setup in the Crown Colony. A youngish agent, Jerry Westerby, is sent there to pursue the possibility that a member of Hong Kong’s business elite might be representing Soviet interests. Eventually, since this is Hong Kong, opium and the People’s Republic push their way into the picture. The particular enjoyment I get from this novel during my visits owes a lot to its evocation of a city in the seventies that remains recognizable today. Star Heights was the newest and tallest apartment block in the Midlevels, built on the round, and by night jammed like a huge lighted pencil into the soft darkness of the Peak. A winding causeway led to it, but the only pavement was a line of curbstone six inches wide between the causeway and the cliff. At Star Heights, pedestrians were in bad taste. Yet the pleasures go far beyond acute observation of local detail. 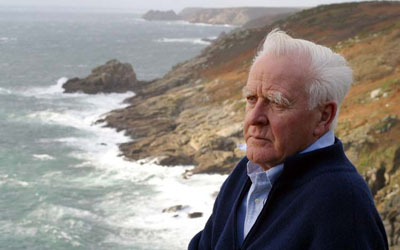 Everything that makes le Carré a splendid storyteller appears at full stretch in The Honourable Schoolboy. The novel shows how intelligence missions, no matter how carefully planned, spin out of control because of human frailties, administrative rivalries, budget cuts, and political expediency. Sound familiar in the America of today? Like its mates in the Karla trilogy, the book begins on the periphery of the action, filling in secondary characters before building patiently towards a widely-ramifying plot. Le Carré manipulates point of view in a way that few novelists can manage, giving us a sense of circles of power made up of unnamed observers commenting on things they don’t understand. Here are the opening sentences of the first three paragraphs. Afterward, in the dusty little corners where London’s secret servants drink together, there was argument about where the Dolphin case history should really begin. One crowd, led by a blimpish fellow in charge of microphone transcription, went so far as to claim that the fitting date was some sixty years ago. . . .
To less-flowery minds, the true genesis was Haydon’s unmasking by George Smiley and Smiley’s consequent appointment as caretaker chief of the betrayed service, which occurred in the late November of 1973. One scholarly soul, a researcher of some sort—in the jargon, a “burrower”—even insisted, in his cups, upon January 26, 1841, as the natural date, when a certain Captain Elliott of the Royal Navy took a landing party to a fog-laden rock called Hong Kong at the mouth of the Pearl River and a few days later proclaimed it a British colony. Our unidentified chronicler has the omniscience of an urbane insider. This is institutional memory as rumor, half-baked opinion, and shreds of fact, flavored with a touch of sarcasm. At the same time, this first page is a call to adventure. You can’t miss the rumble of kettledrums and thunder in the distance. This story will unfold in a spacious, even leisurely, manner, but will be no less suspenseful for that. The debate continues wherever old comrades meet, though the name of Jerry Westerby, understandably, is seldom mentioned. Occasionally, it is true, somebody does, out of foolhardiness or sentiment or plain forgetfulness, dredge it up, and there is atmosphere for a moment; but it passes. Only the other day. . . . The worrisome chord is struck in a single word: understandably: At this point we understand no such thing, but five hundred pages later we will. Only then will this passage, reread, deliver its full charge of pathos. Our chronicler’s tradecraft is impeccable. Most narratives consist of taking someone from one place to another and having him or her talk to somebody else. This poses several problems: (a) creating a vivid scene of character interchange; (b) using that interchange to summon up past events with clarity; and (c) pushing the story forward by having us understand what is gleaned from the conversation. Le Carré’s masterwork in this regard is probably Smiley’s People, which is almost Jamesian in suggesting that nearly all the important action is over, and what matters is how it has changed people’s lives. But The Honourable Schoolboy solves the problem no less deftly. Today’s spy novel would be unlikely to devote twenty pages to the questioning of the slightly gaga Reverend Hibbert, served tea by his scowling daughter. Yet it is a whole short story in itself. Like other le Carré novels of the period, The Honourable Schoolboy displays an almost Dickensian relish in human variety. Every character is a little magnified, endowed not only with memorable tags, speeches, and bits of behavior but a pervasive attitude toward life that shifts our perspective on the main action. 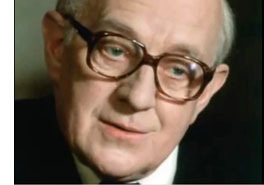 It’s as if the stolidity and self-containment of spymaster George Smiley calls forth extravagance in the portrayal of nearly all his staff. Connie Sachs, the bubbling, arthritic Soviet expert who carries her dog with her everywhere; de Salis, the Chinese specialist who tugs his hair and writhes as he reports; Fawn, Smiley’s devoted little bodyguard, who will grin while he breaks a man’s arms—the characters have something that most of today’s novelists, committed to the mundane, fail to give us: eccentric vitality. The characters’ colliding attitudes emerge most starkly in a situation in which le Carré rules supreme. That is the administrative meeting. No writer I know is better at tracing the ripples of jealousy, showoffishness, toadying, and side-switching set loose when rather colorless men (it is always men) sit around a table and struggle for bureaucratic power. Le Carré is especially good on American arrogance. One of the quiet men used the work name Murphy. Murphy was so fair he was nearly albino. Taking a folder from the rosewood table, Murphy began reading from it aloud with great respect in his voice. He held each page singly between his clean fingers. Lest it be thought from these books, and from le Carré’s outrage against the Iraq war, that he is a reflexive anti-American, it should be said that he is no less severe with the Brits. One of his most scathing nonfiction pieces is his introduction to The Philby Conspiracy, where he denounces English snobbery and complacency for facilitating the real-life counterspying that formed the basis of his trilogy. Throughout his work, le Carré asks whether decency and kindness can survive the cynicism and compromises of a life built on deceit. Whether anyone, schoolboy or not, can retain honor in the Great Game is the central question of his Hong Kong novel. Le Carré manages to show the bureaucrats’ tabletop swordplay as at once petty, springing from vanity and professional spite, and momentous. The world, or at least some big part of it, really is at stake. By the end of The Honourable Schoolboy, Westerby is at the end of his rope and he contemplates the betrayals and innocent deaths at which he has connived. Through his bitter disillusionment, we see an apocalypse. As he gazed through the rear window of the car, it seemed to him that the very world that he was moving through had also been abandoned. The street markets were deserted, the pavements, even the doorways. Above them the Peak loomed fruitfully, its crocodile spine daubed by a ragged moon. It’s the Colony’s last day, he decided: Peking has made its proverbial telephone call. “Get out, party over.” The last hotel was closing; he saw the empty Rolls-Royces lying like scrap around the harbour, and the last blue-rinse round-eye matron, laden with her tax-free furs and jewellery, tottering up the gangway of the last cruise ship; the last China-watcher frantically feeding his last miscalculations into the shredder; the looted shops, the empty city waiting like a carcass for the hordes. For a moment it was all one vanishing world; here, Phnom Penh, Saigon, London—a world on loan, with the creditors standing at the door and Jerry himself, in some unfathomable way, a part of the debt that was owed. The end of empire has seldom been evoked so chillingly, and any day now the creditors whom Jerry imagines, moving toward hypermodernization, will be calling for payment. The first and last novels in the trilogy became BBC adaptations, and they’re watchable, largely because of Alec Guinness as Smiley. They were shot in 16mm, largely on location, and the visual drabness fits the atmosphere of the books. (See the opening of Tinker, Tailor here.) It was evidently beyond the BBC’s budget to film The Honourable Schoolboy in Hong Kong, Cambodia, and Thailand, or plausible facsimiles thereof. There is a BBC radio version, but I still hope for a film adaptation some day. The story can stand independently of the trilogy, and with its multiple viewpoints, sympathetic protagonist, geopolitical themes, vivid settings, and side trips to Southeast Asian theatres of war, it could in respectful hands make for a strong feature. In the meantime, we have the book. Granting my special fondness for its locale, I still think it one of the great novels—not great “genre” novels, but just great novels—of the century just past. This entry was posted on Friday | March 26, 2010 at 10:09 am	and is filed under Festivals, Festivals: Hong Kong, Film and other media. Responses are currently closed, but you can trackback from your own site.